I liked the sketch at Sketch Saturday, but as if one sketch wasn’t enough, I decided to add an extra element by challenging myself to make a one layer card. Almost a challenge too far – this was my third attempt! I started by stamping the Hero Arts Delicate Blossoms stamp in Versafine Onyx Black, then painting on Pebeo masking fluid over the flowers. Using a Spellbinders die to cut an oval mask, I inked the card using Distress Ink in Dusty Concord, then I rubbed off the masking fluid to reveal the white flowers. The Clearly Besotted greeting, from the Brushed Greetings 2 set, finished off the card nicely. 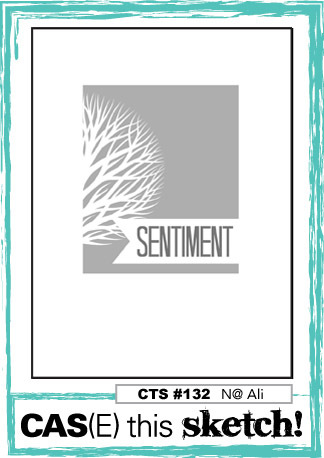 And at least I stamped it straight on my final attempt . . . .
As ever, the sketch at Sketch Saturday caught my eye this week so that’s what this card is based on. The background was made using the wax paper resist technique; the MFT butterfly was embossed in Wow! white embossing powder on vellum and the rest was from my stash. I didn’t have any coloured card to match the background so I coloured some plain white card with a Soft Green Promarker. 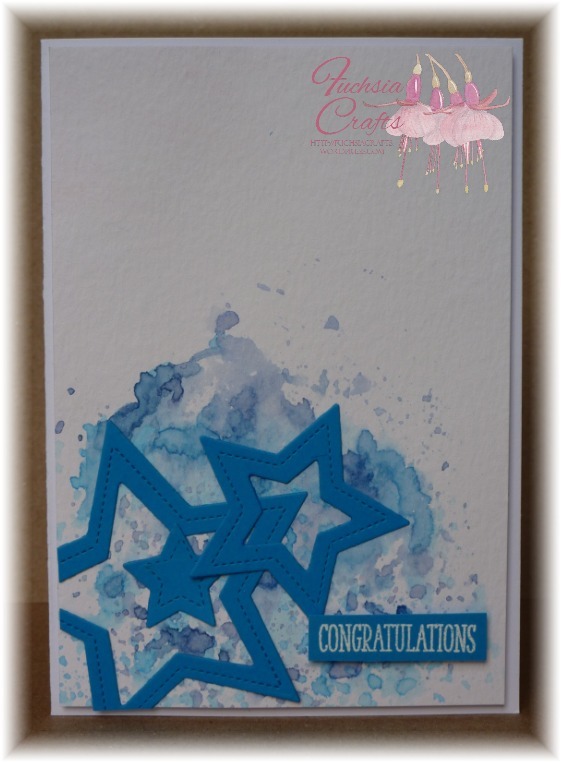 This card started out as an experiment with Distress Inks, Perfect Pearl sprays & water droplets on Sheena’s Stamping Card. I based it on a “recipe” I found on the internet – this colour combination was recipe 2. 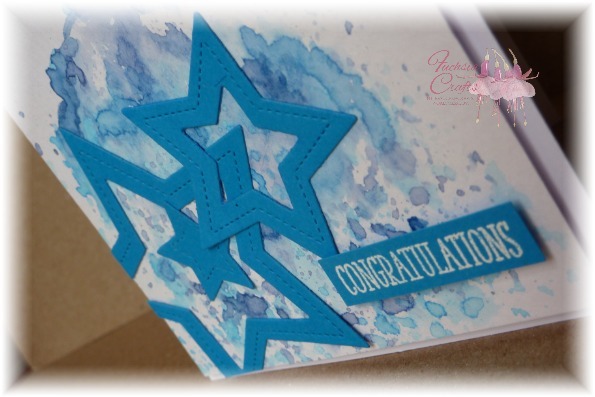 I then stamped some of the MFT Inspired by Butterflies stamps in Versamark and embossed the images in white embossing powder. 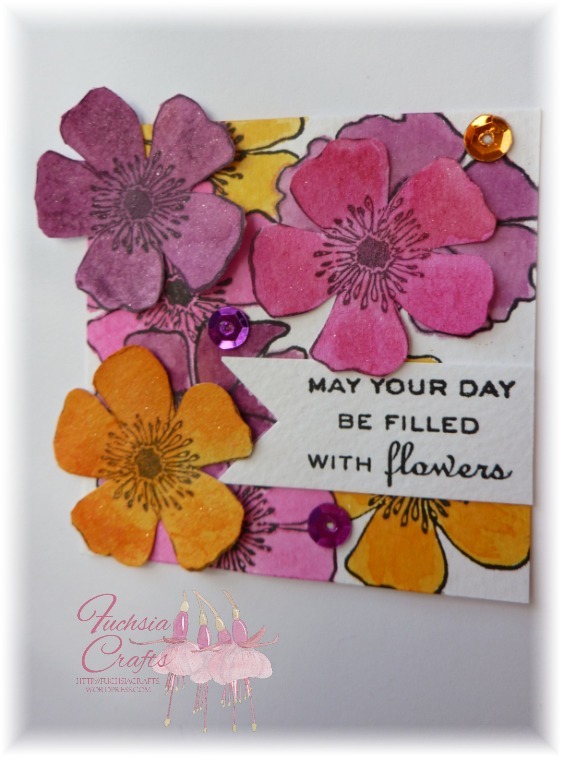 Basing the layout on the current sketch over at Tuesday Morning Sketches, I found a piece of backing paper in my stash which matched really well, then stamped the greeting by Docrafts in Memento Rose Bud ink. A ribbon and a few sequins from my stash finished it off. This card evolved over the space of a few days, and I didn’t really know where it would end up until I saw this week’s sketch over at CASe This Sketch. The stamps are from the two-step Martha Stewart Flower Glossary set, and I started off by stamping them in Distress Inks in Picked Raspberry, Seedless Preserves and Spiced Marmalade. I fussy cut them & added some Wink of Stella but then I didn’t know what to do with them! Then came the sketch: for the background I masked & stamped a few more flowers but this time watercoloured them. 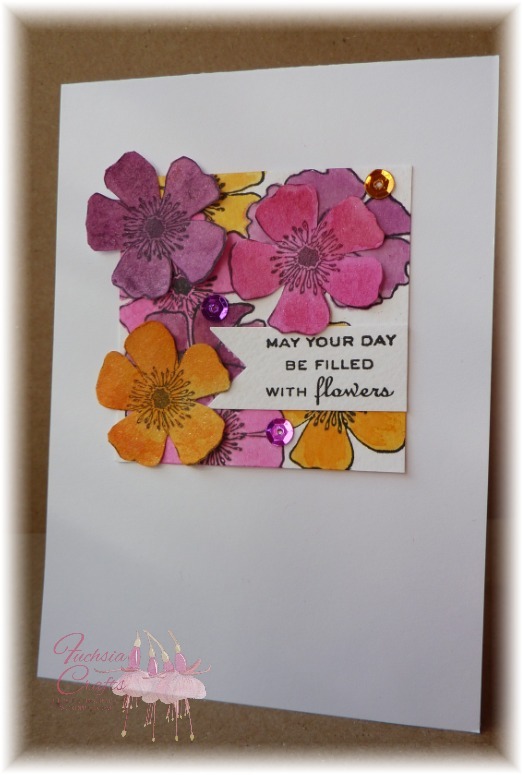 I stamped the greeting & added a few sequins to finish it off. I needed a card for golfing mad relative of my brother-in-law and decided to play along with the sketch over at Sketch Saturday this week. The main image is by Crafts UK, stamped in Distress Pumice Stone and watercoloured. The backing paper started out square, which didn’t fit what I wanted to do so I cut a piece out of it. 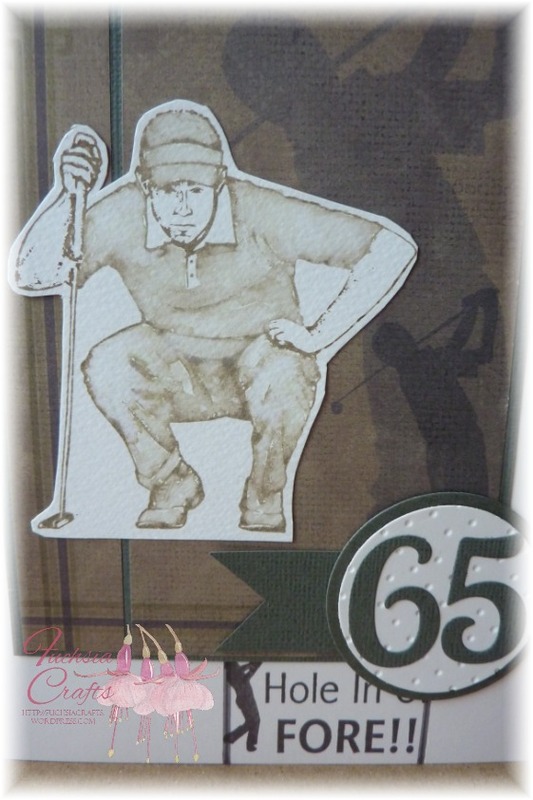 I masked off part of the card then stamped random golfing images (from the same Crafts UK set) in Memento Espresso Truffle, before drawing an edge in Cool Grey 5 Promarker. 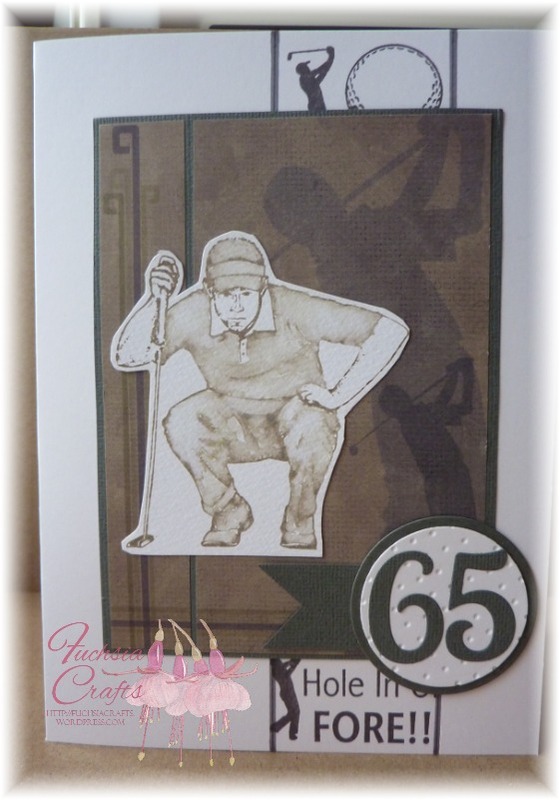 The numbers were die-cut and mounted on a piece of card which I embossed to try to make it look like a golf ball.